Just want to share to you some of the snapshots from my camera. I used my DSLR and phone. I went to Rockefeller Center to take pictures. I was by myself that's why I don't have a solo picture. 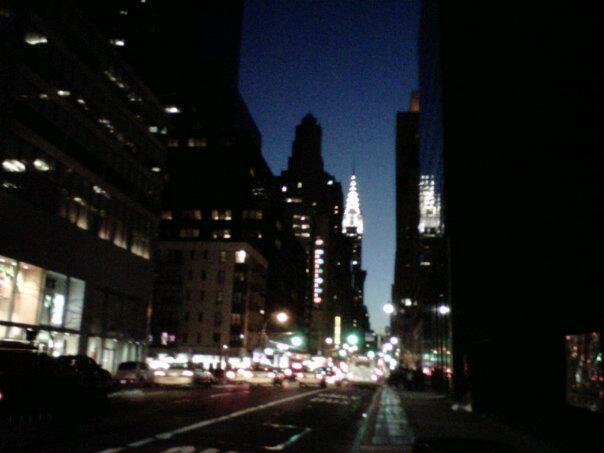 The last picture was taken at night with my Blackberry, on my way home after work. I just love the fact that my workplace is in a very nice area. city lights are the best..
saw you dropped by my blog.. so sweet of you.. as per your request, i followed you.. hope you can send me the love by following me too. Hope I can visit Manhattan real soon! Wow you're so lucky! I also love that you met Olivia Palermo.. I adore her!